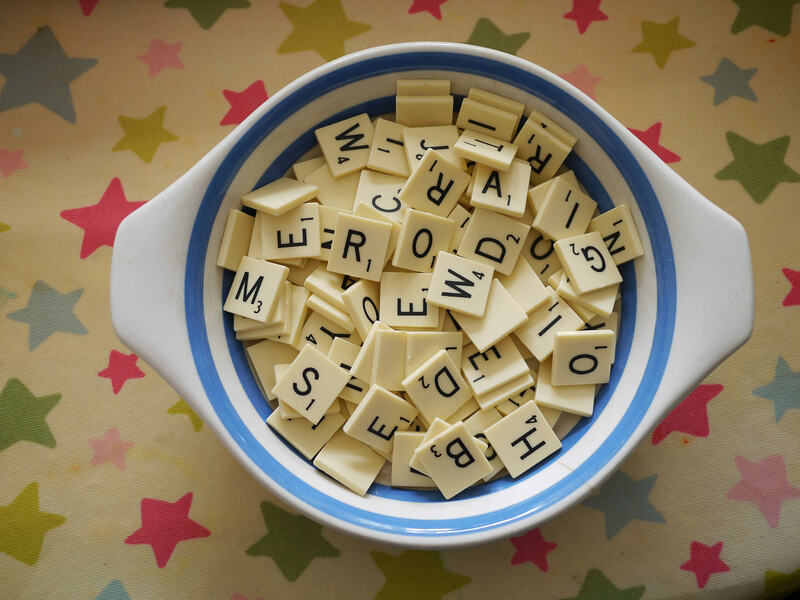 Gingerbread house finds: Scrabble sets! 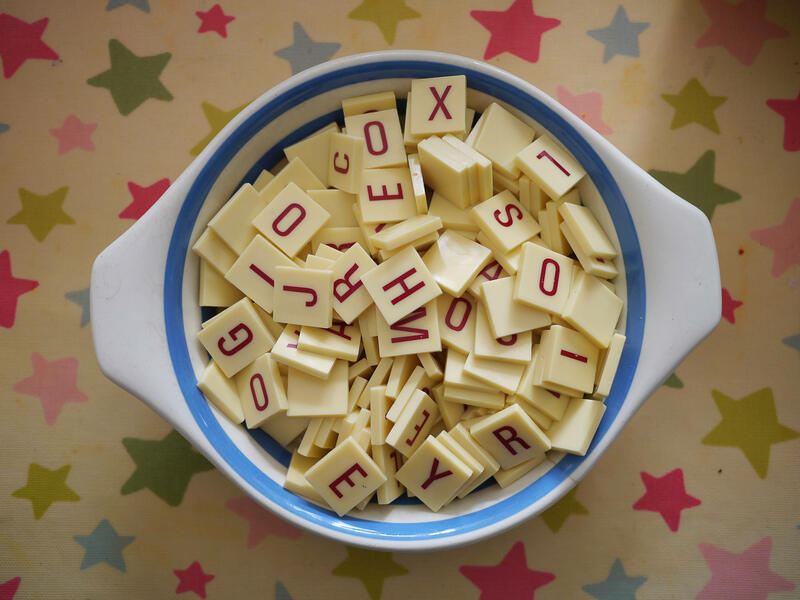 If you’re a regular reader of my blog you’ll know I am constantly on the look out for old Scrabble sets to stock in my Etsy shop. The letter tiles are perfect for crafting with, such as this fun Scrabble bathroom sign I made. Well last week I found a couple of sets, but they weren’t the sets I am used to seeing. The first was an Australian version, published and distributed by T.R. Urban & Co., Sydney under licence from Production & Marketing Company USA. There aren’t many differences from my English versions, except obviously where it was made, and the box and back of the board are a maroon colour. There are four wooden tile racks and the black letter tiles are a little more solid than the British version which means they’ll be much easier to upcycle and glue a badge back or magnet on to. I also found an Official Scrabble Brand game of Anagrams at our local car boot sale. It was a steal at 50p and strangely is also Australian, produced in Australia for Scrabble (Australia) Pty. Ltd. There’s not too much to this game other than a sand timer and bag of tiles. Like the other version I found the tiles are solid but the letters are printed in red. The instructions are printed inside the lid of the box which dates from 1972. As if these two sets weren’t enough I also found a vintage Scrabble set and a Special Edition Pink Scrabble Set produced for Breakthrough Breast Cancer. The Special Edition set features pink letter tiles, pink tile racks and a pink board. I’m pleased I’ve managed to replenish my stock of Scrabble tiles which have been photographed ready to be added to my little shop. 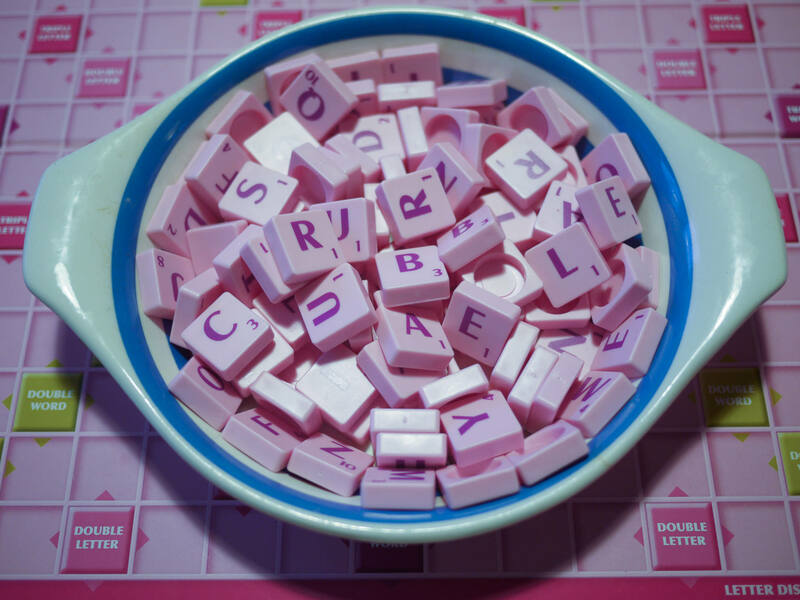 I love seeing what people make with Scrabble tiles and the pink ones are extra special!